Last week I spoke at Veritas, a post-contemporary worship expression of Irvine Presbyterian Church. They asked me to speak on Acts 2.42-43, which describes the life of the first community of Jesus-followers. 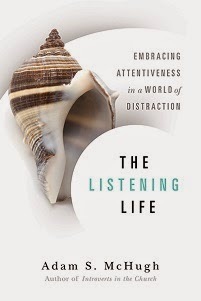 I couldn't resist the temptation to mention something about introversion and how churches unintentionally preach an extroverted message, as you'll see in the last paragraph. I also challenged the introverts there to take seriously the biblical message of community. The first Christians, even after their ranks were swelled by 3000 new members, lived as though they were a single family. You’ll see more of that next week. For now, the word “fellowship” (the word koinonia in Greek) was most frequently used to refer to the marriage relationship. That’s how intimate the idea is. Koinonia means common life, life lived together. All the activities that the early church engaged in – teaching, fellowship, the prayers, breaking of bread – all of them are communal. There is this sense of participation, mutual sharing. When you became a follower of Jesus in the first century, you became a member of a community. Baptism was understood as not only being washed from the stain of your sins, but it was an initiation rite into a new family. To be a Christian is to be a part of Christian community. Some of you are hearing this and this is the best news possible. You think “Yes, this is what I want. I want to be a central member of my community, and I want to share my life with others. I want to know people and have people know me.” People like you don’t need a lot of convincing that community is a pivotal part of our spiritual journeys. You hear this and you’re ready to go. But others of you out there are more skeptical. I count myself as one of them. I’m an introvert, and though I like being with people, I get drained around people. Spending time in large groups can be intimidating to me if I don’t know many of the people. I’m writing a book right now that’s about helping introverts navigate Christian community. 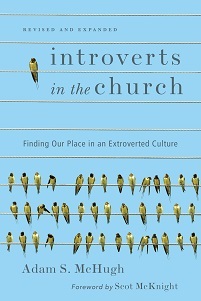 The first sentence in my book is “Can introverts thrive in the church?” but I was this close to asking “Can introverts SURVIVE the church?” So many of the Christian activities we do seem tailored towards outgoing, energetic people who thrive on large social gatherings. I think sometimes churches unintentionally communicate that faithfulness looks like involvement in as many activities as possible and in being acquainted with as many people as possible. I have a lot more to say about that, but I’ll leave it for you to ponder what your vision for community and your community structures communicates to people. But for those of you out there who find the idea of active participation in a community less than scintillating, I’ll say 1) I relate and empathize but 2) I’ve yet to meet a genuinely mature believer, past or present, who says that you can truly make progress in the Christian life without bumping up against your brothers and sisters on a regular basis. What that means on a practical level is going to be different for different kinds of people, but it’s clear that if you really want to grow as a Christian, you can’t do it alone.